This New York Times and Wall Street Journal business best-seller first presents the economic facts that show why a massive deflation is not just inevitable, it's already under way. The second part of Conquer the Crash is practical - virtually each of the 21 chapter titles explains How To, What To and you Should. About Robert R. Prechter (Author) : Robert R. Prechter is a published author and an editor. 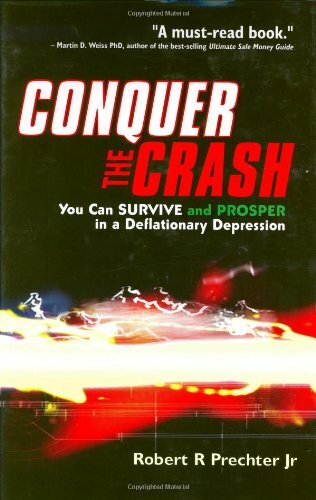 Some of the published credits of Robert R. Prechter include Conquer the Crash: You Can Survive and Prosper in a Deflationary Depression.